In 1936, the Wattie’s company was only two years old when the peach and pear crops they depended on were destroyed by severe storms. Instead of taking it on the chin and possibly going under, a decision was made to try out canned vegetables, starting with tomatoes and peas – which was predicted by naysayers to be a failure in the marketplace. This was not how things turned out; it was an immediate sell-out success and the market for canned veges rapidly expanded internationally. 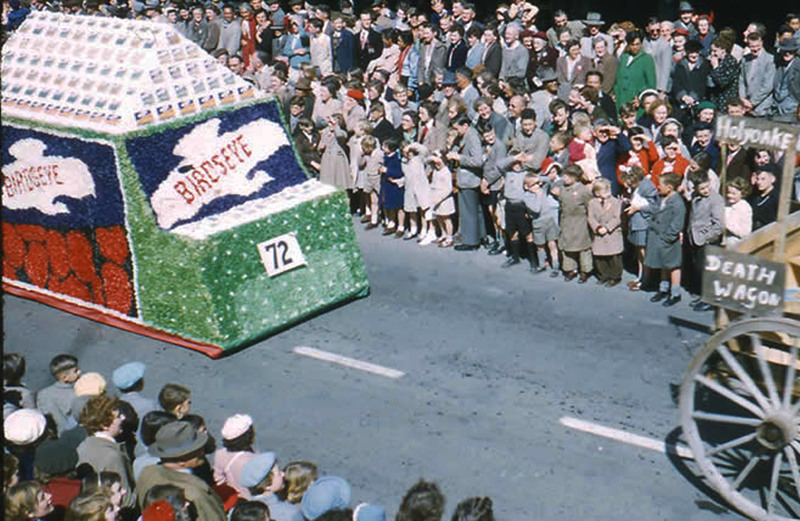 Birdseye float, for the Hastings Blossom Parade,1956. I am not sure what those red blobs represent, frozen strawberries perhaps. I would kill for a better look at that canopy showing the product packaging. Image courtesy of Hastings District Council’s Historic Image Archive. 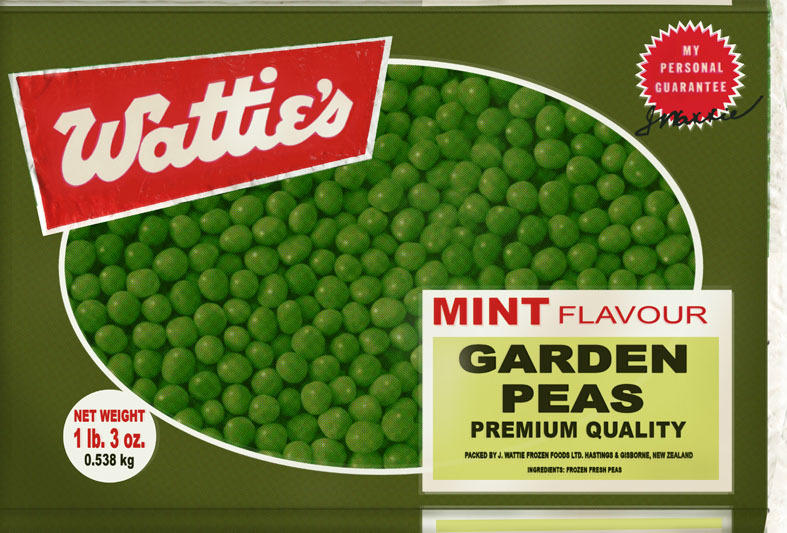 The first substantiated record I have of Wattie’s selling frozen peas in a cardboard box under their own name is in 1950; however in 1947, Unilever of Great Britain contracted with Wattie’s to produce frozen peas under its Birdseye brand. 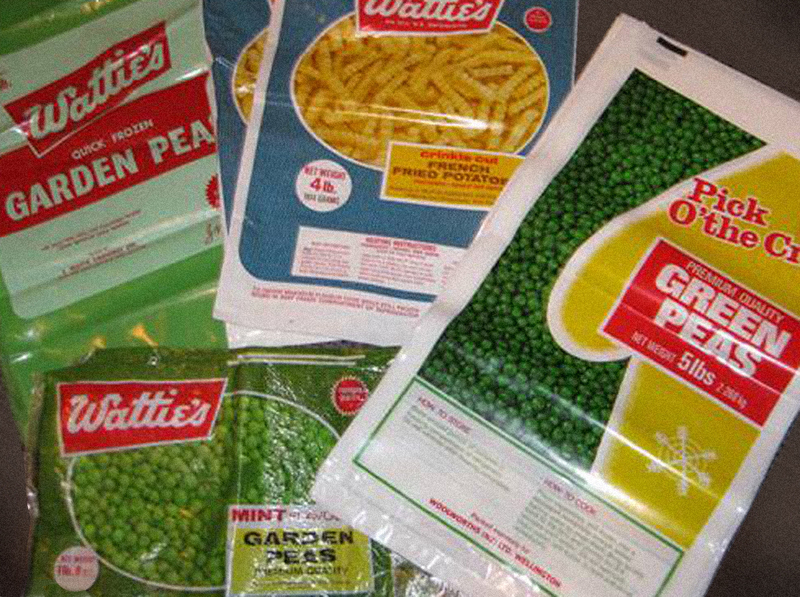 During this time, frozen foods of all kinds were becoming enormously popular and more profitable than canned products so Wattie’s snapped to it. 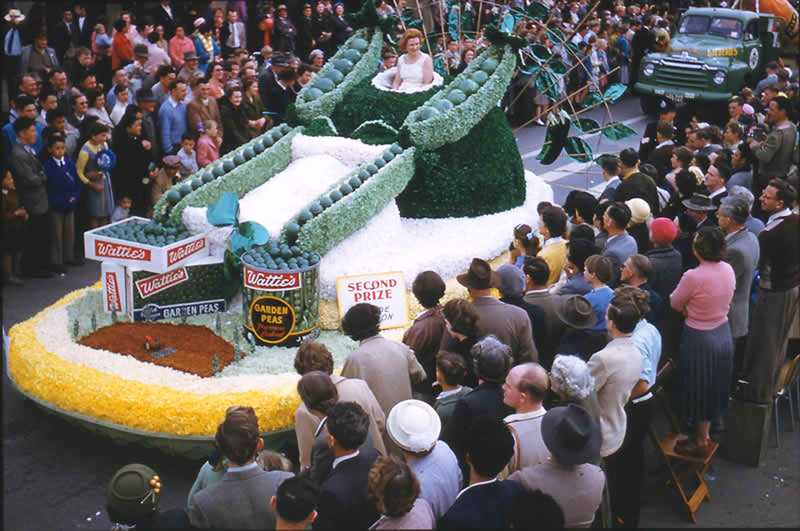 Wattie’s frozen and canned peas float, for the Hastings Blossom Parade,1958. Image courtesy of Hastings District Council’s Historic Image Archive. 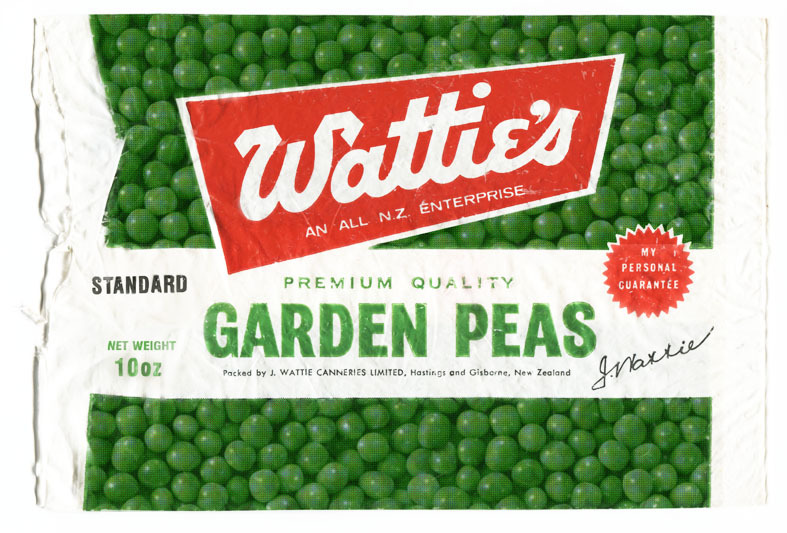 With the establishment of a new plant at Gisborne in 1952, Wattie’s added corn and quickly became the world’s biggest frozen food manufacturer outside of the U.S.A. The ten ounce packet was sold to me privately by some established collectors in Levin. It was fairly worn and damaged and I did a lot of digital repair work on it to bring it back into condition. They tell me that it dates sometime after 1963, and no later than 1973. 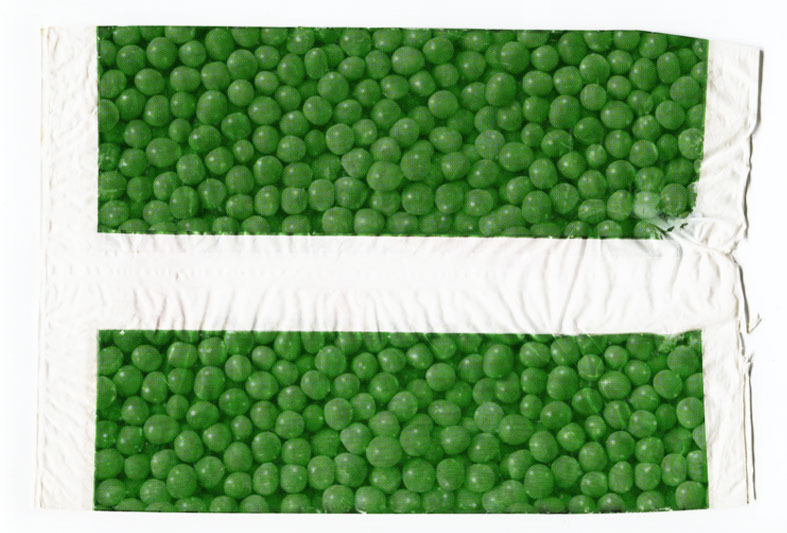 The second one, mint flavour frozen peas – is a digital recreation of a set of bags that was being sold on trade me a few months ago for a ridiculously low price. Of course another auction where I missed out as I was absent and no amount of begging and pleading would get me the contact details of the buyer to make an offer for some of the many duplicates. I remember this well as it was in use in my childhood; so through the mid to late 1970s. The big clue here as far as dating these is the inclusion of both imperial and metric weights to comparatively demonstrate the difference (or rather, lack of it); meaning that they were produced around the year of changeover – which was 1971-1972 in New Zealand. This means that the other design is a little earlier, between 1964 -1969 in my estimation. Since Wattie Cannery Ltd acquired Tip-Top to deal with their frozen foods arm and assembled under the umbrella of General Foods Corporation (NZ) Ltd in 1968-1969 – that puts a fairly tight date on it. I have a couple of other images of earlier boxes and I hope at some point to recreate the packages of those too. You can go to the “Wattie’s” category underneath the title, to read the other posts on the same brand from the last year.